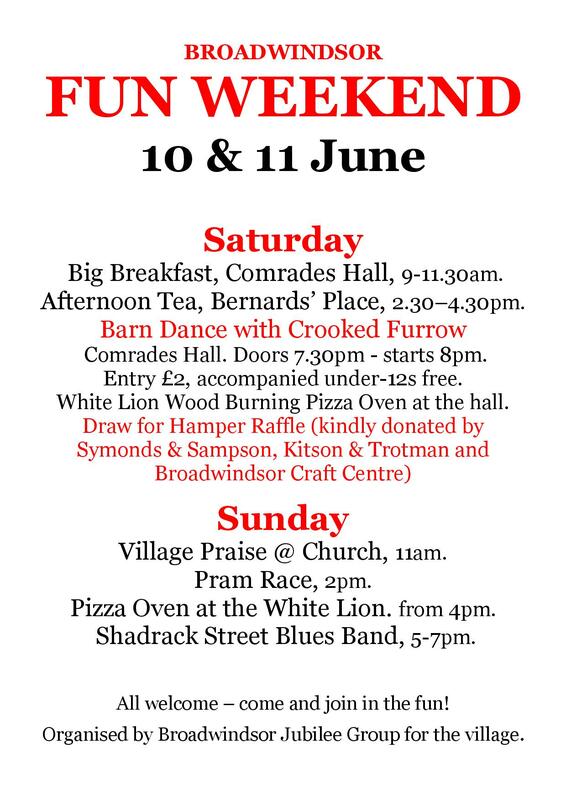 Come along to Bernards’ Place, Broadwindsor, on Sunday 18 June. Bring a picnic and just enjoy each other’s company. It’s part of the Great Get-Together, which is a great idea for the village. The Big Lunch event takes place annually and this year, the organisers have moved it to the weekend of 16-18 June to coincide with The Great Get-Together in memory of Jo Cox, the MP who was murdered last year. 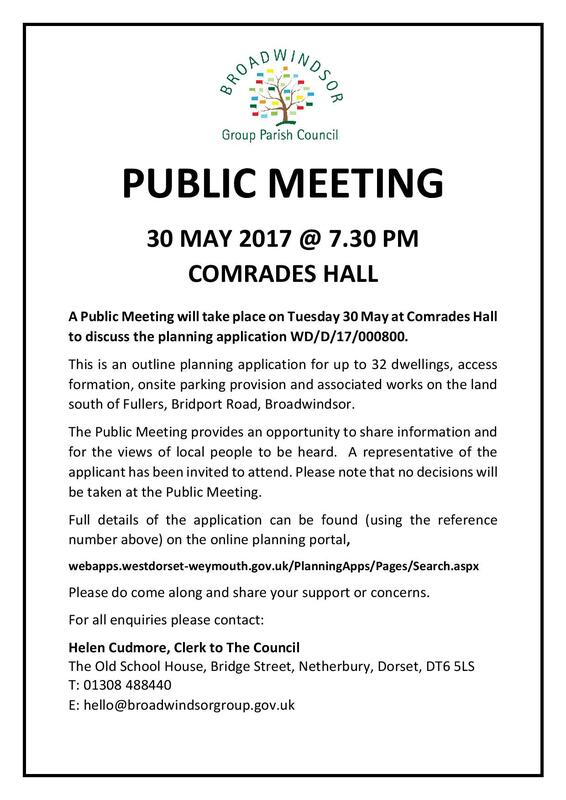 So come along to our village green from 3.30pm on Sunday 18 June – just bring your own food and drink and chairs and rugs to sit on. 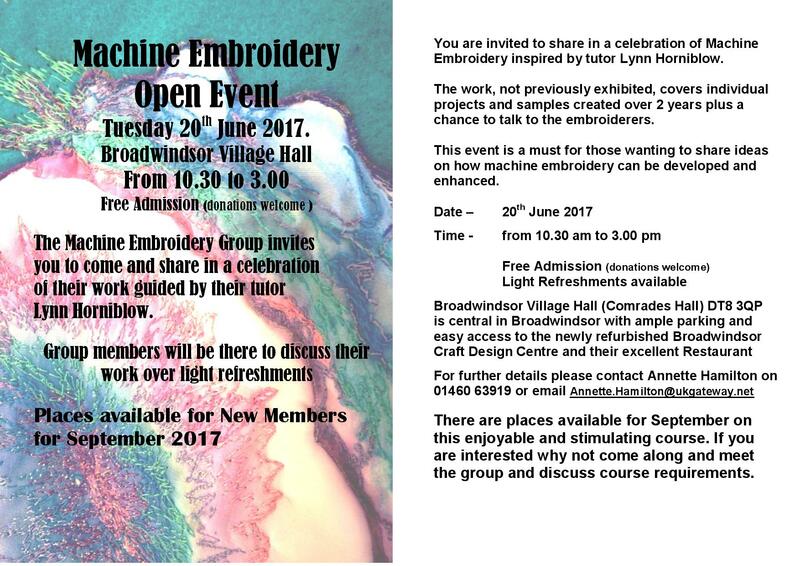 The Machine Embroidery Group is now based at Broadwindsor. On Tuesday 20 June, there be an Open Day Event at the Comrades Hall from 10.30am to 3pm. All are welcome to come along to meet the embroiderers and see the work they have produced over the last two years under the guidance of their tutor Lynn Horniblow. A selection of home-made refreshments will be available and there will be an opportunity to speak with representatives from the Parish, District and County Councils and from local groups and organisations and view the exhibition area. Please do come along!